Are you and your family ready to face an emergency such as a flood, wildfire, earthquake or power outage? Do you have an emergency plan and an emergency kit to survive the first 72 hours following a disaster? Here are essentials tips to be better prepared and to recover from emergencies. Check with your local disaster management office to determine what potential risks exist in your area. Emergency risks include natural disasters such as floods, hurricanes, earthquakes, and tornadoes as well as man-caused disasters such as chemical spills, nuclear waste problems, and radiation leakage. Each of these circumstances will require specific actions to reduce risk, prepare for disaster, and recover from an emergency situation. Even if you don’t live in a disaster-prone area, certain features about your property can place you at risk for an emergency. Dry wood and underbrush near your home can put you at risk for fire; a nearby river or stream can overflow and cause flooding, especially for homes with basements; and living in mountainous areas can place you at risk for landslides. Stay in tune with the potential hazards around your home, including seasonal hazards such as snowstorms in winter and fires after a hot, dry summer. 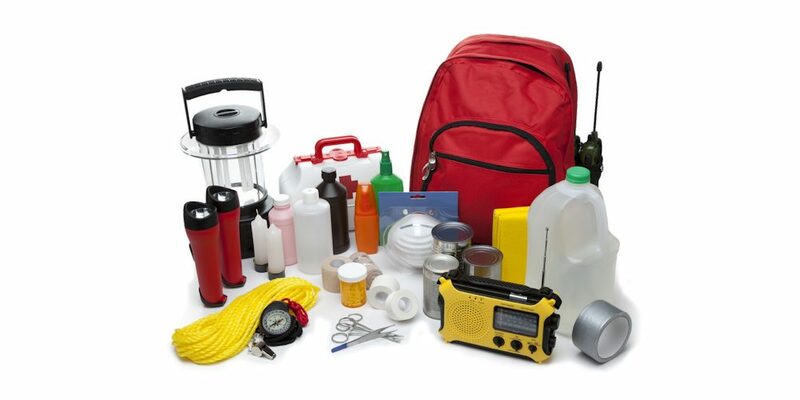 In case of a major event, you will need some basic supplies set aside. Many emergency kit items may already be in your home. It's just a question of taking the time to put your emergency kit together. Your emergency kit should contain basic survival items such as water, dried food, flashlight and batteries, radio, first aid kit, and cash in smaller bills. The Red Cross has detailed information on disaster preparedness on its website at www.redcross.ca/disasterpreparedness. It also provides educational programs for children and youth at www.redcross.ca/educatorsresources.